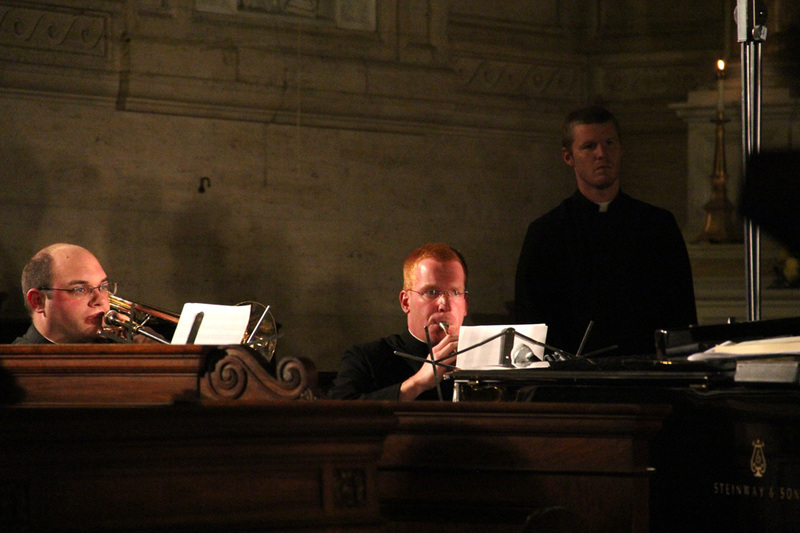 Matthew Brody performs a duet with Bishop Timothy Senior who is rector of the seminary. Patrick Muka fills the chapel with his beautiful voice during a solo performance. 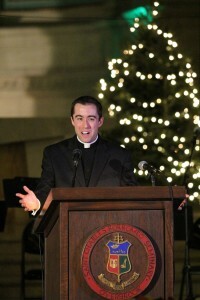 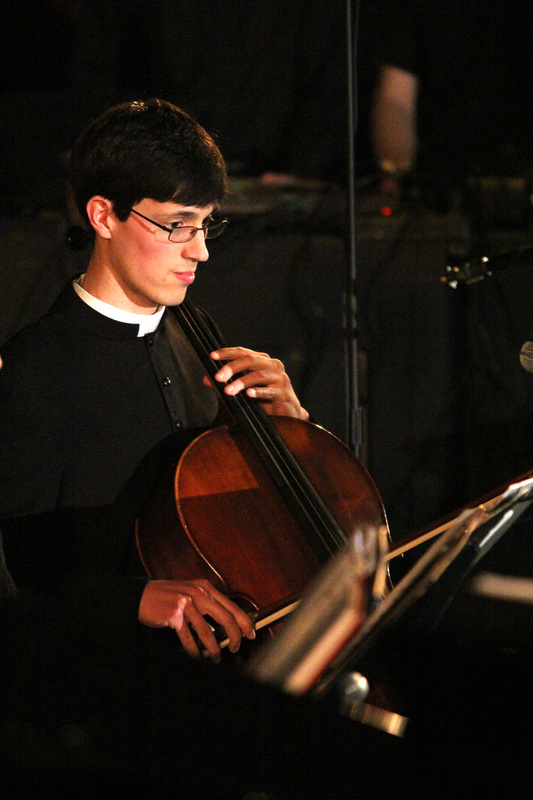 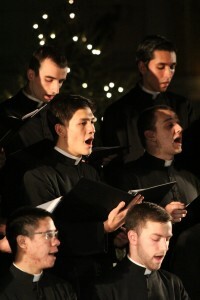 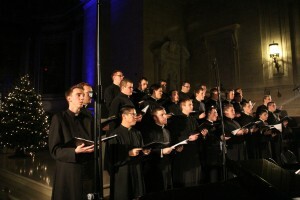 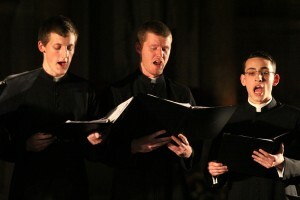 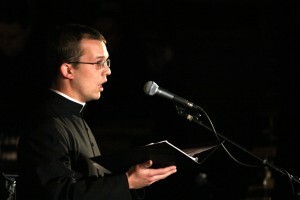 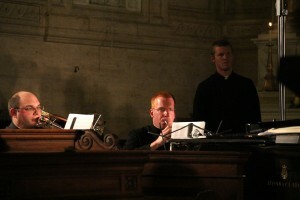 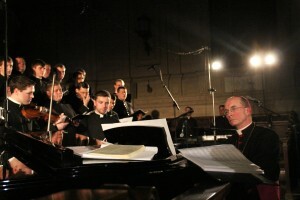 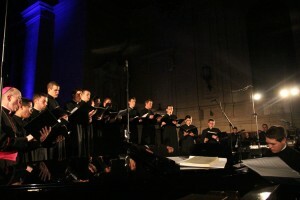 Alexander Gibbs is one of six seminarians who played instruments at the concert. 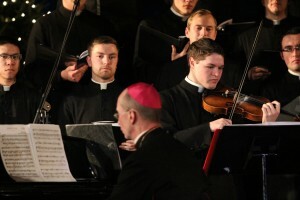 Bishop Timothy Senior, rector of the seminary, performs on the piano as seminarian Matthew Brody accompanies him on the violin. 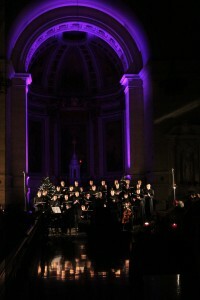 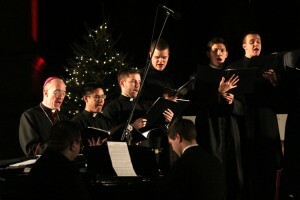 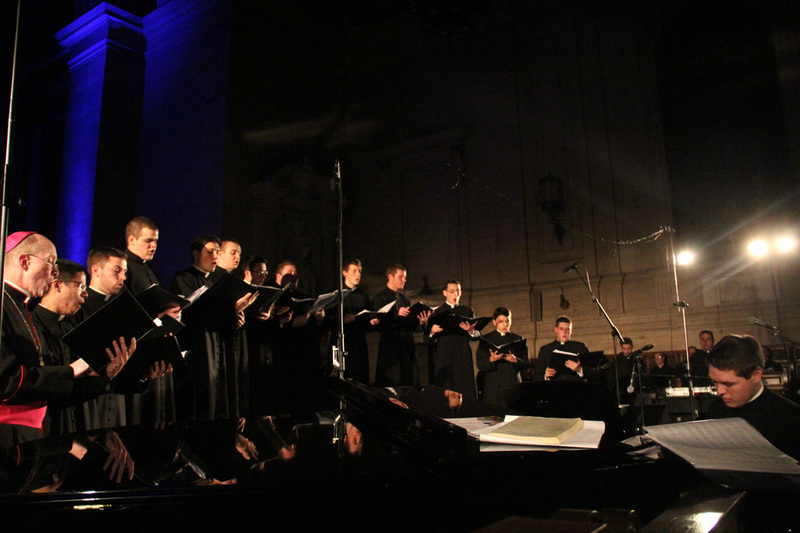 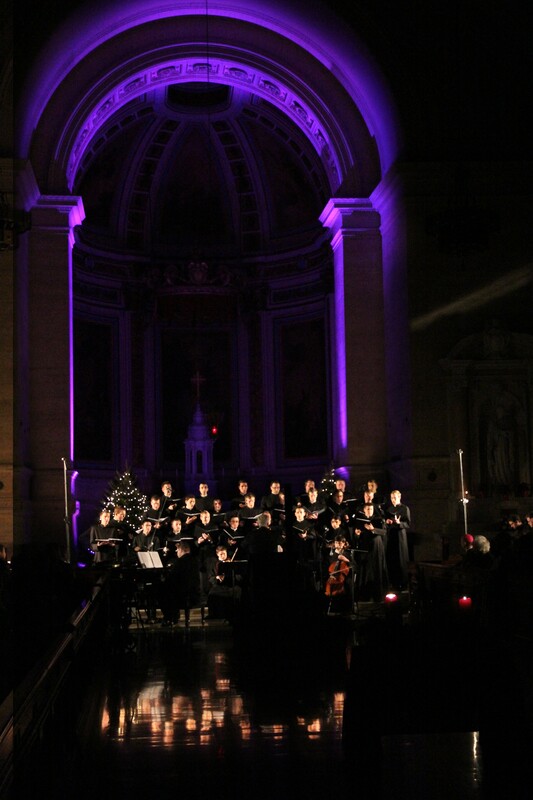 The Saint Charles Borromeo Seminary 2012 Christmas Concert will air on The Catholic Channel, Sirius XM 129 radio, on Christmas Eve (5:00 & 7:30 am, 2:00pm) and Christmas Day (1:30am). 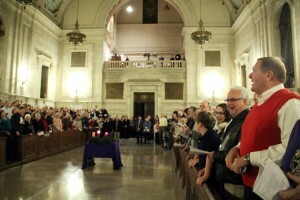 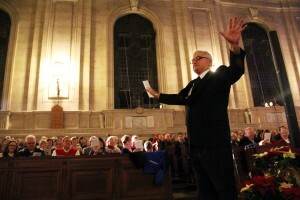 Dr. Theodore E. Kiefer, choir director, asks the audiences to stand and participate in the singing of Christmas carols. 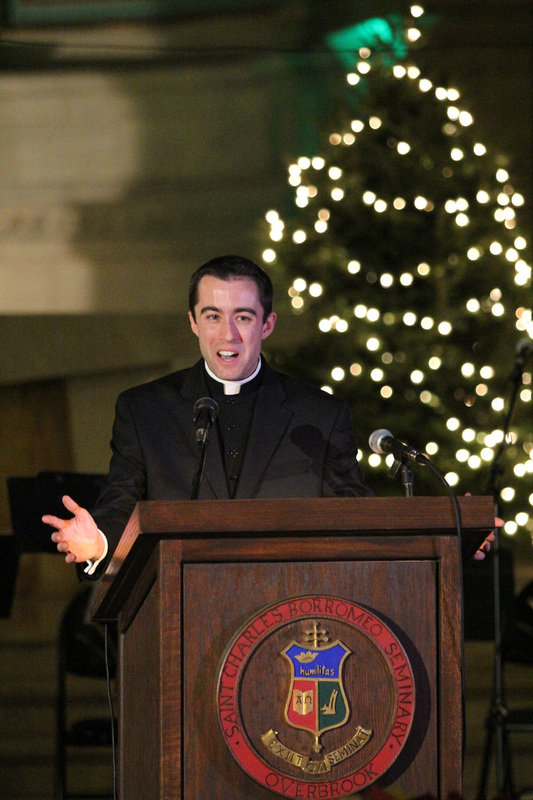 Emcee Deacon Thomas Viviano welcomed visitors to St Martin Chapel for the 25th annual Christmas concert at St Charles Seminary in Wynnewood.